Fall is here, and Busch Beer wants to give Americans even more reasons to get outside and enjoy their public lands, which is why the brand has launched an outdoor challenge nationally in forests across the country, inviting America to celebrate the great outdoors this fall with the motivator of free beer (or cash equivalent). 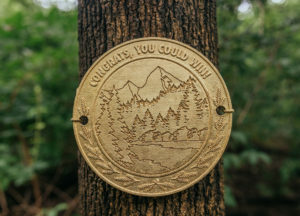 Partnering with the National Forest Foundation (NFF) and Busch marked six trees in forests across the country with special medallions. 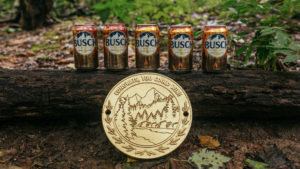 The first person to find a medallion and email the discovery to Busch could receive a full-year’s supply of Busch Beer. Starting September 25, Busch is revealing the location of all six trees via clues on the brand’s official Twitter page. Beer hunters just need to look for the clues posted on Twitter, track down the right tree and follow the directions from there. “There is nothing better than a crisp, cold Busch in the great outdoors, so who better to partner with than the National Forest Foundation – a group committed to the conservation and development of some of America’s most cherished public lands,” said Daniel Blake, senior marketing director, Anheuser-Busch. The partnership is a natural move for Busch. The NFF works tirelessly to protect healthy forests and watersheds across the country, which not only preserves their use for the public, but also contributes to high-quality beer by protecting sources of fresh, clean water – a crucial ingredient in the brewing process. “This is the best time of year to be outdoors; we wanted to do more than just support conservation efforts with the NFF – we want our community outside responsibly enjoying our public lands. If free beer helps grease the wheels, then we’re happy to oblige,” said Blake. In addition to the beer hunt, people can get involved simply with the click of a mouse. Deutsch NY created the ‘Tree Roll’ (kind of like pre-roll), to help plant trees. For every non-skipped view of the pre-roll video, a humorous informational video that helps people spot and plant trees, the NFF will plant one tree with a goal of 50,000 trees to plant in the first 24 hours. According to Deutsch, this is the first brand using non-skippable pre-roll for charity purposes. Another way to help plant trees and enjoy beer is to buy specially-marked 18-packs, 24-packs and 30-packs of Busch and Busch Light, a portion of the proceeds which will be donated to the NFF to support the restoration and enhancement of national forests and grasslands across the United States, up to $175,000. Busch aims to plant 150,000 new trees as part of its 2018 partnership with the NFF. “Busch is committed to the restoration of our public lands, marking this with a partnership with the National Forest Foundation. The NFF contributes to the enhancement of a 193 million-acre national forest system in this country, and we’re proud to be a part of those efforts into the future,” said Blake. The National Forest Foundation is a non-profit organisation that works to protect and sustain 193 million acres of national forests. In addition to the forests’ ecological importance, these lands provide opportunities for all Americans to experience and enjoy America’s rugged outdoor landscape.